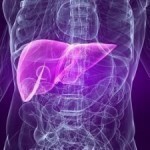 There are many possible causes of liver pain. It’s crucial therefore that you know the possible source as well as the symptoms. The most common sign is pain below the rib cage. The pain is often reported as sharp, but it can also be a dull sensation. Some patients also report feeling discomfort in the back area. Because it’s so near the stomach, some mistake it for abdominal pain. They are not the same. Neither is kidney pain, which is much lower than the rib cage. The pancreas section is also on the lower section. There are other signs that you should look for. These include eating disorders, right shoulder pain and fatigue. Other severe liver pain symptoms are difficulty when breathing and itching. The most frequently associated cause is heavy drinking. However the pain could be attributed to something else. For example, hepatitis is one cause. Other ailments are gallstones, cirrhosis and leukemia. Other diseases that can produce this pain are gastritis, peptic ulcer and Well syndrome. Bearn Kunkel Syndrome, Dubin Johnson Syndrome and pancreatitis could also be the underlying cause. Other possible reasons are pylephlebitis, toxic overload and VLCAD deficiency. The cause could also be liver cancer, liver abscess or schistosomiasis. If you are suffering from any of the symptoms, you should see a doctor. Only after you know the causes of liver pain will proper diagnosis be possible. If you are familiar with the causes, you’ll be able to answer the doctor’s questions. The doctor’s examination will consist of many tests. The first is physical appraisal. He / she will be looking for weight loss or jaundice. The abdomen will also be checked for ascites. Another test is to palpate the liver. The primary purpose is to evaluate its size and softness. If it’s very tender, it could be indicative of hepatitis. A blood test might also be conducted. This includes a full blood count and assessing the renal functionality. Other tests will be Alpha 1, blood cultures (if the patient has fever) amoebic fluorescent antibody titre and ANA autoantibodies. The latter is needed if signs of lupus hepatitis are detected. Other forms of liver pain diagnosis are urine tests, ultrasound and a radioisotope scan. Hepatic venography is used to detect any blocked veins. Your doctor might also perform an ECG or a liver biopsy. A chest x ray might also be performed to assess the heart condition. This may not have anything to do per se with liver ailments. However, it’s necessary so all possible causes of the pain can be ruled out. Besides those mentioned already, there may be other diagnostic tests conducted. 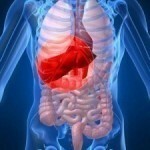 As stated earlier, people often confuse liver discomfort with those of kidney or pancreatic disease. Hence the need for numerous and extensive tests. The cause can be due to hepatitis, leukemia or any of the other diseases mentioned earlier. 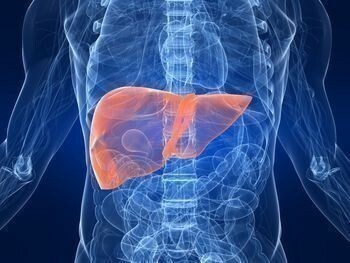 To get liver pain relief, the right diagnosis must be made. Only by knowing the exact cause of the pain can the proper treatment be given.